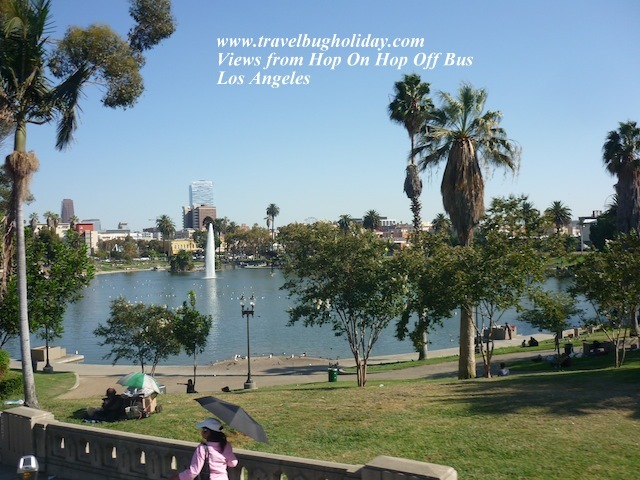 I decided to check on the hop on hop off bus in Los Angeles. The Starline Company only offers this bus. You can purchase the ticket at any hop on off bus. You don't have to purchase it at Starline Company office or booth. I showed them my AAA card and I received a percentage off my ticket price. Normal price is US$40 but I only paid US$38 per person. If you purchase this ticket via the Viator, it only cost US$32; this hop on off bus has 4 routes namely yellow, red, blue and purple. 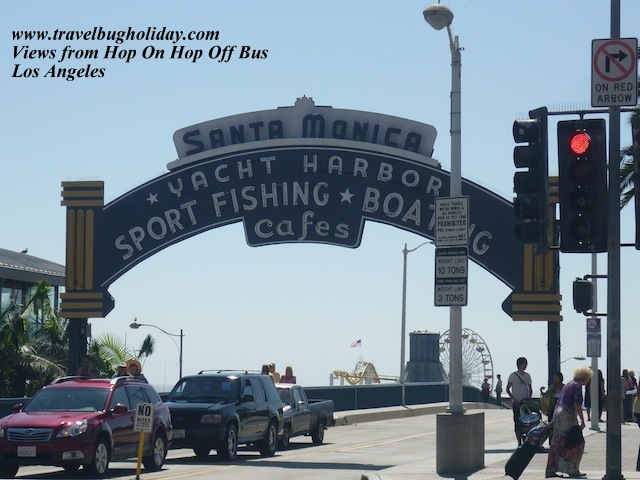 I started off at the yellow route from Santa Monica. Then I connect with the red route half way through the yellow route. The reason I did that is I knew I wouldn’t have to finish everything in 1day, so I had to choose. 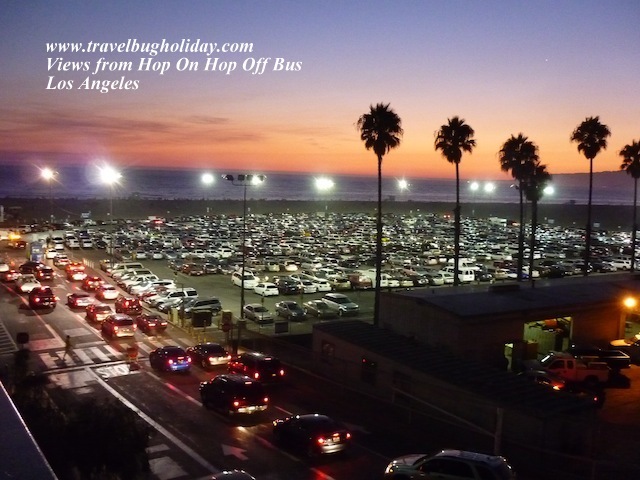 I decided that since I had promise to give an overview of the hop on off bus to one of my readers of what each route is about, I had to do just that. 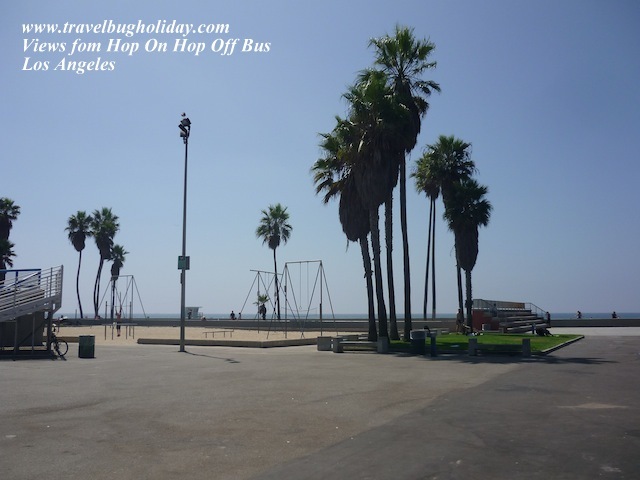 Staying at Santa Monica is great as I was able to travel around Santa Monica using the local big blue bus for only 1 per journey (no matter how long the trip is. Thus I feel I can leave this other half of this route to see on the way back. Half way on the yellow route, I joined the beginning of the red route. 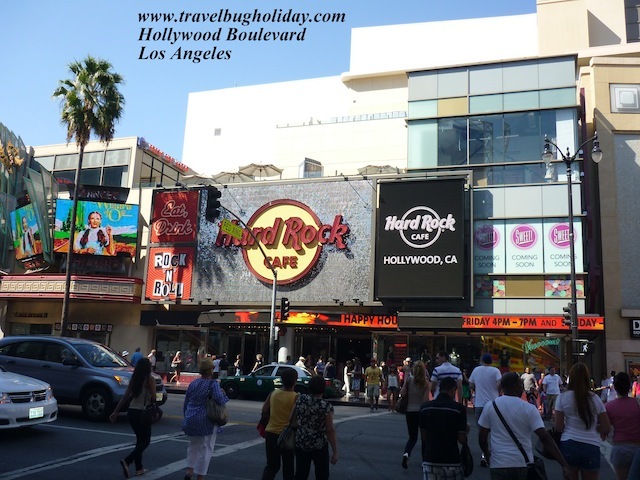 The bus drove pass Beverly Hills and shopping streets. 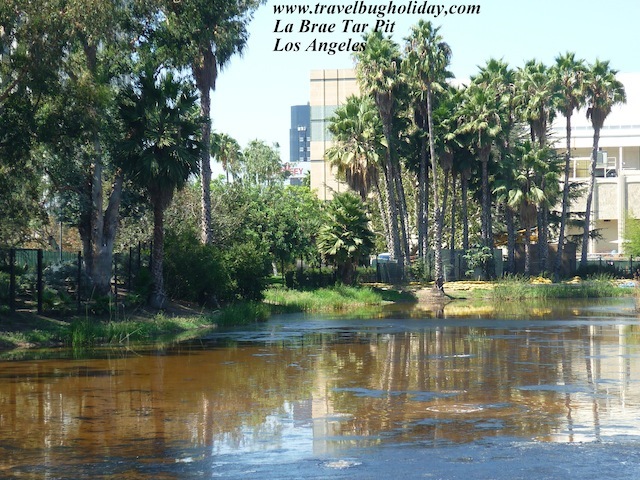 Next is the La Brea Tar Pit. 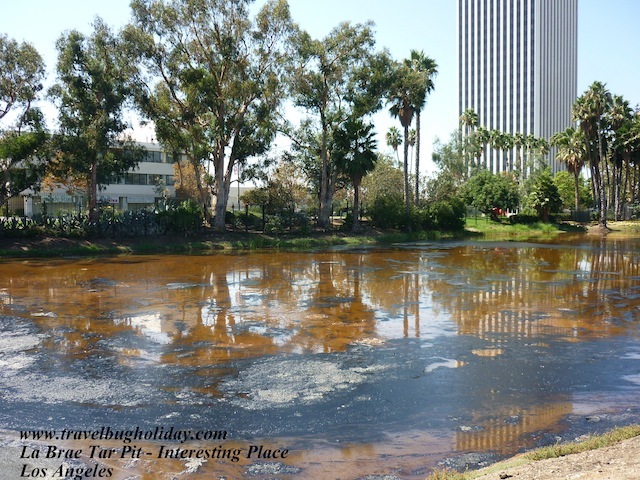 I am glad I didn't miss this free outside viewing of the tar pits sites where the tar still ooze out from the ground as we speak. The entry to the museum cost. US$12 and if you show them the hop on off bus receipt, you will get a couple of dollars discount. 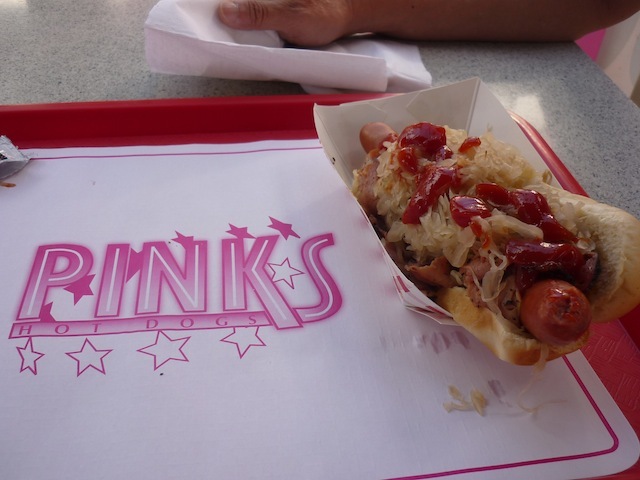 The next destination on the red route is the Farmers Market and The Grove, Melrose Avenue shopping, the bus drove near to the famous Pinks Hot Dog shop, Hollywood, Walk of Fame and Rodeo Drive and Paramount studio. I transfer from the red route to the purple route. I started this route at 3.30pm. The bus picks me up in front of the El Capitan movie theatre. I was informed that I best not get off the bus, as this is the last bus for the day and I am glad I didn’t’t as there was not much to see anyway plus the fact that I will have to find my way back to Santa Monica if I did just that. That would have been a hassle indeed. 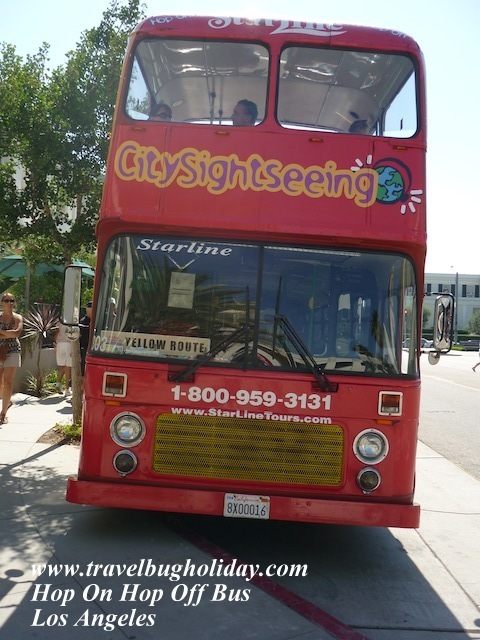 The purple route is not as great a route for sight seeing but great as an overview of downtown Los Angeles. 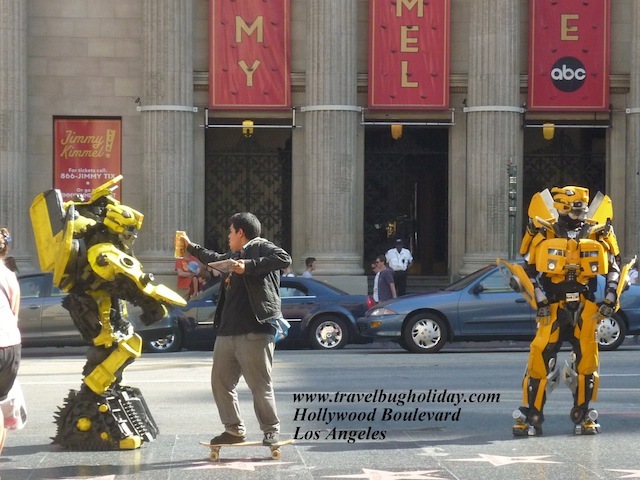 I had an insight of little Tokyo, Korea town, jewelry district, fashion district, Staples Centre, Grammy Museum, Walt Disney concert hall, city hall, Chinatown. We were shown quite a few sites used for movies such as the famous 2 tunnels (cannot remember which movies these 2 tunnels were used for… many movies is all I remembered). I felt that I don’t need to hop off the bus at all for this route. 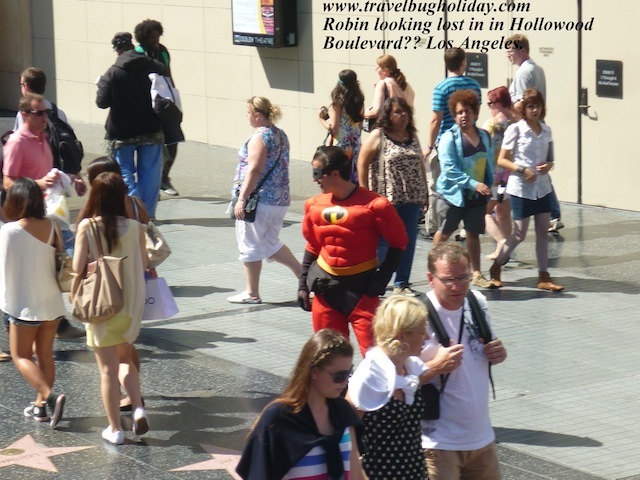 I didn’t have much time to travel along the blue route to visit the universal studio walk and Hollywood bowl amphitheatre. I decided that seeing the walk of fame is good enough for the time being. I will have to check out the universal studio and the Hollywood bowl amphitheatre another day. 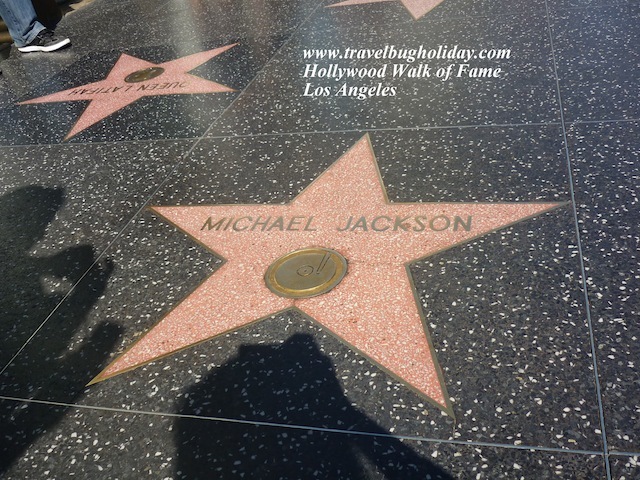 At the end of the purple route, I had 30 minutes before I have to board the red route so I took that opportunity to walk around the Walk of Fame streets. On the journey back via the red route and yellow route, I was able to view the sights that I miss on the way there in the morning. I didn’t have time however to hop off anywhere on this return journey. 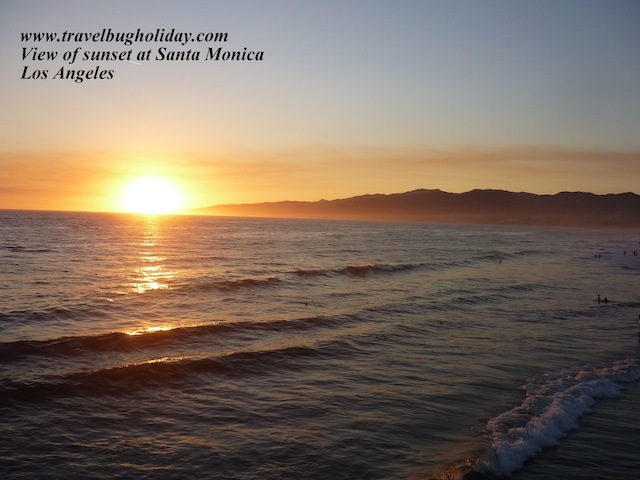 The last stop is at Santa Monica beach. 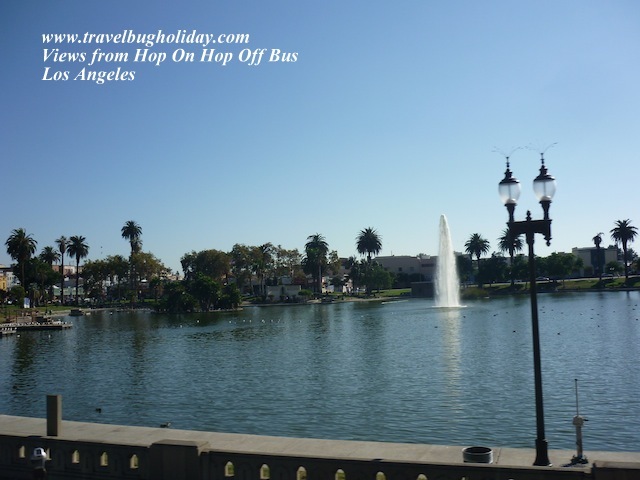 I then took the big blue bus 7 back via Pico Boulevard. You will not be able to hop on off the bus and look at all the sights in one day using these 4 routes. You just need to prioritised and ensure that on your return journey from each route, you don't repeat the same sights/routes (to avoid wasting time).